Eeek! I’m super excited to share this post with you…Not only am I sharing an Awesome product that I had SO much fun working with, but this is the first post in a series to reveal a completed room in our home. Pinch me. This is only the second finished room and the first was a bathroom I’ve yet to reveal…I really have no excuse except that I’m super picky and want just the right pieces hung on the walls. You may have seen the sneak peeks I’ve shared about our new classroom. Well, it’s almost finished. My husband was out of town this weekend or we would have finished it. 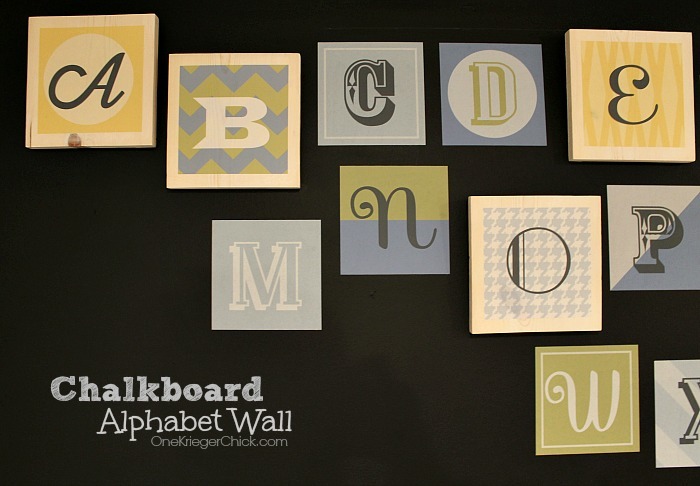 My most favorite feature of the classroom is our chalkboard wall with Colorful Woodblock Alphabet WallPrints Fabric Decals from a newly launched company called Wallternatives. 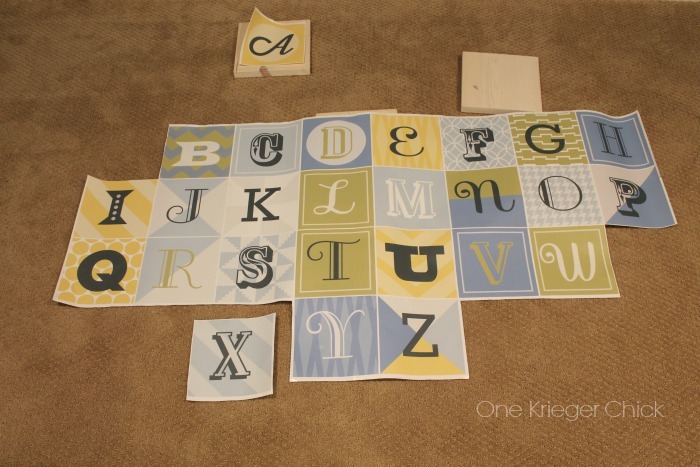 Darling in a Nursery, but so much fun in a classroom too…I have always wanted an ABC wall with all different type fonts, but never took the time to create it. 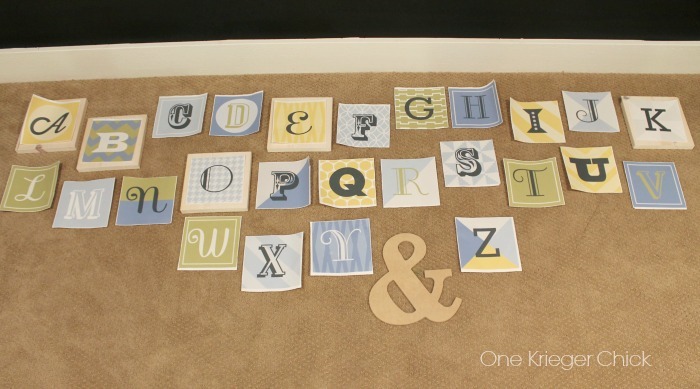 The Wallternatives Alphabet blocks are perfect and so much easier. They did all the work for me…I just had to peel and stick them to the wall. 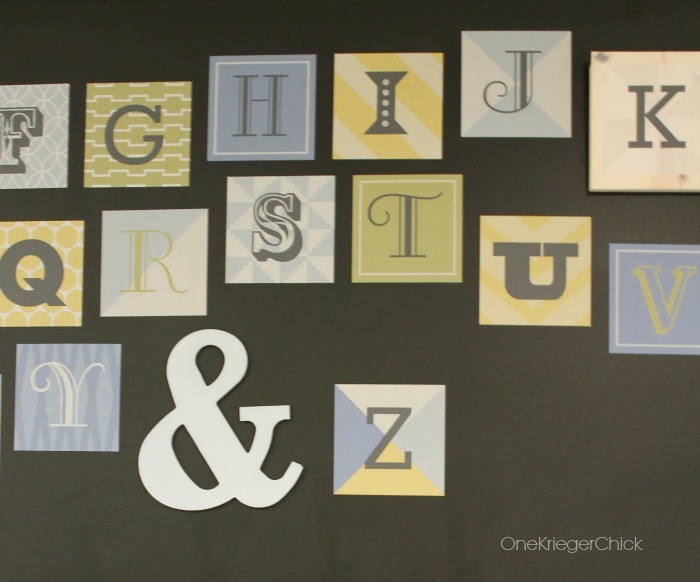 I wanted a little dimension and for the letters to be staggered creating a feature on the wall. The decals come in one large sheet, so I cut each decal out separately. I placed them all in a pattern I liked and measured again…and again to make sure they would fit in my space. For the dimension, I raided our wood stash and cut a pine board into squares. 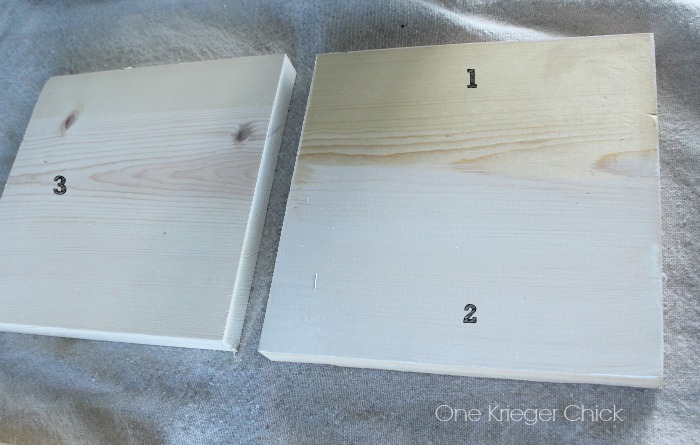 Then I stained each block with a whitewash stain. I’ve really been loving the whitewashed look lately. 3- Finished board…So quick and easy. And it dries fast. 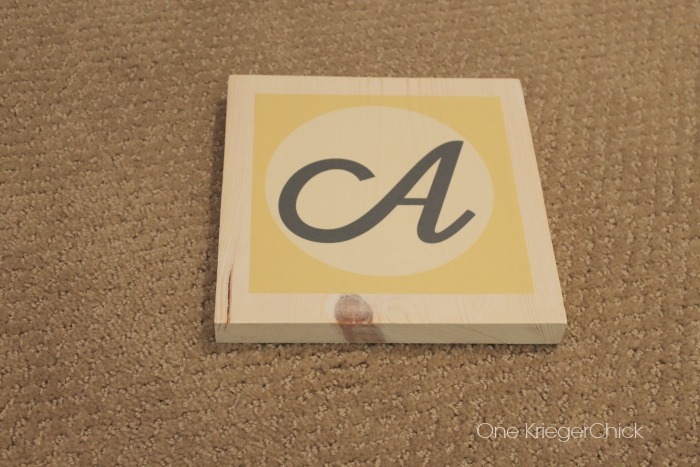 Once the stain had dried, I applied a few special letters to the wood squares…the initials of everyone in our family and the first letter of our last name. The decals are so easy to apply…not sticky at all. If they’re not centered perfectly, just peel them up and realign. I may have done this a time or two. Just make sure to keep the tacky side clean or they will no longer stick. I attached hardware to the backs of the blocks and hung on the wall. Believe it or not, it took me a long time to get it exactly the way I wanted it. My own fault…I wanted each letter spaced evenly and a certain distance from the ceiling, etc. My trick…a piece of painters tape. I peeled and re-stuck in between each letter…worked perfectly! 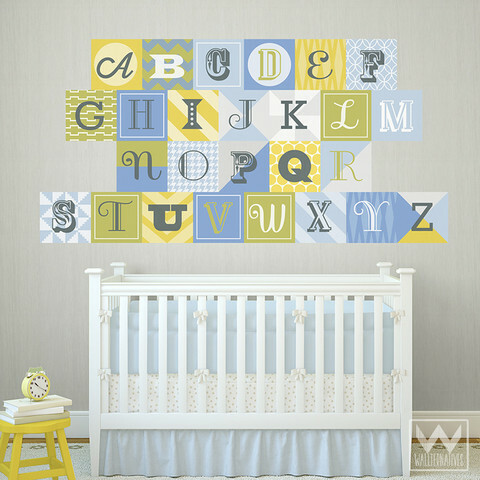 I know ABC’s are not for everyone…Wallternatives has a little bit of everything from fabric decals to vinyl. 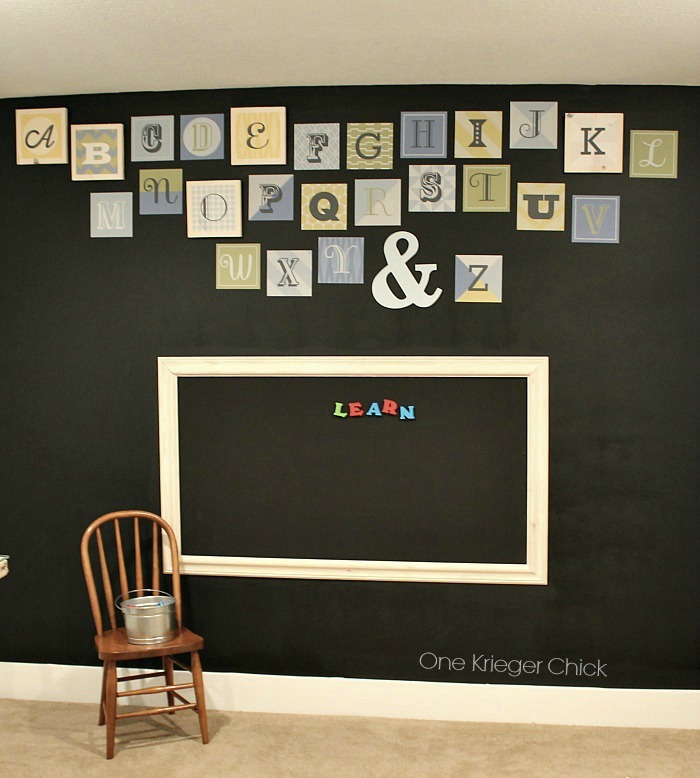 ChalkTalk™ Chalkboard Art– Such fun shapes for all rooms in a home. Designer Vinyl Decals– In all shapes, patterns, sizes in current styles and colors. And Coming Soon… WallAppeal™ Removable Wallpaper and EtchLook™ Decals to look like etched glass…Seriously cannot wait to see these! It adds such a fun pop to an otherwise gloomy basement room with no windows. Oh, How I cannot wait to share the rest of the room…The boys are already loving it! While you wait for me to finish, head over to Wallternatives and check out the Fun products…What would you choose? Could you use a gift card to Target right now? Well, lucky for you…I happen to have a giveaway going on! Enter to win a $310 Gift Card to Target.